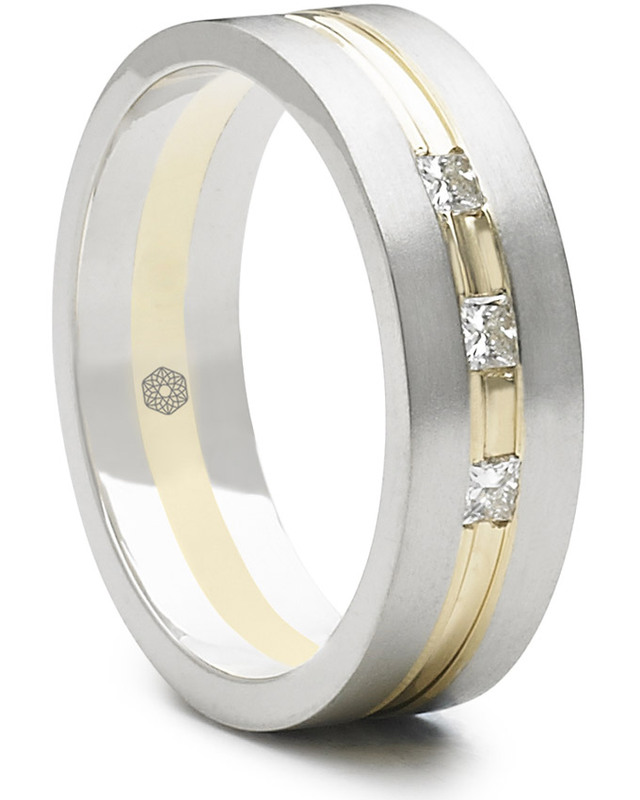 The highly polished white centre with yellow rims with two tram lines on each edge accent the eight point baguette diamond. 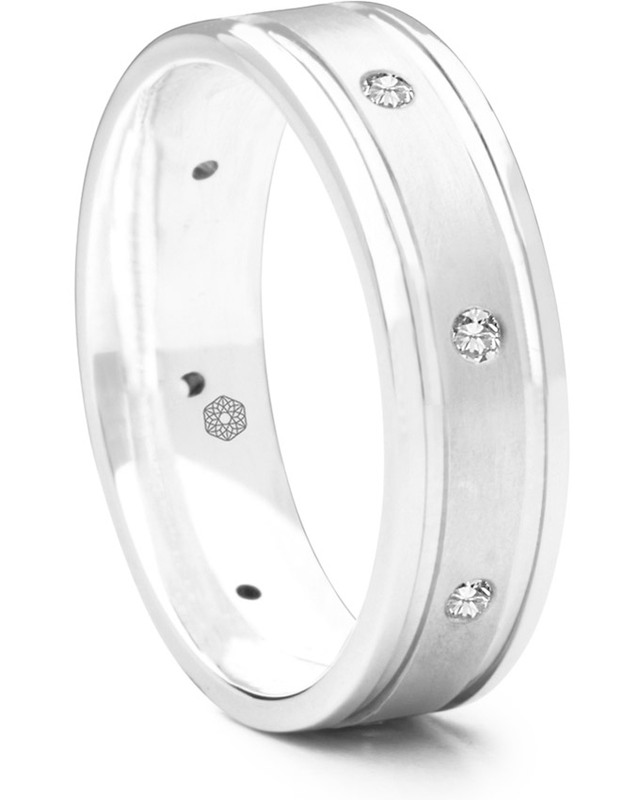 Wet sand blasted finish with highly polished concave edges. Twenty four diamonds pavé set around the centre. 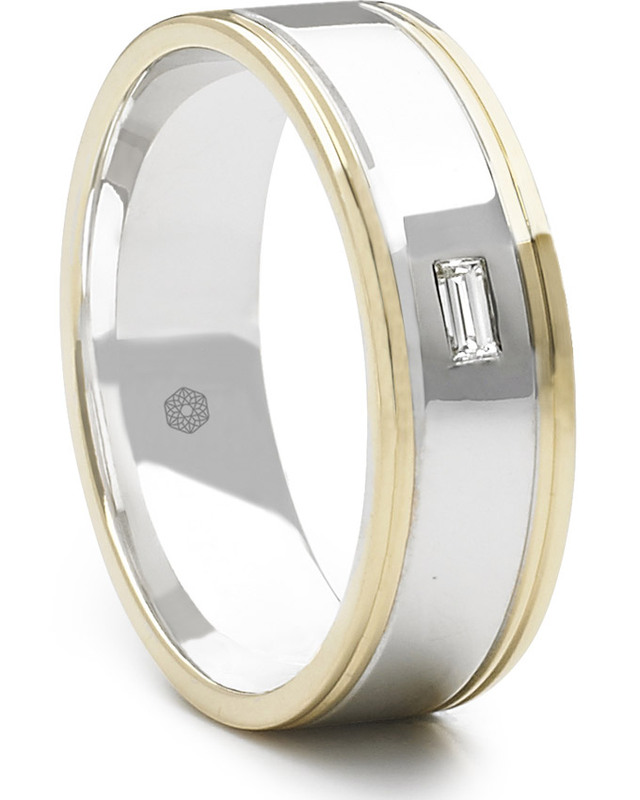 ,All wet sandblasted finish with fine lines seperating the colours, set with a five point princess cut diamond. 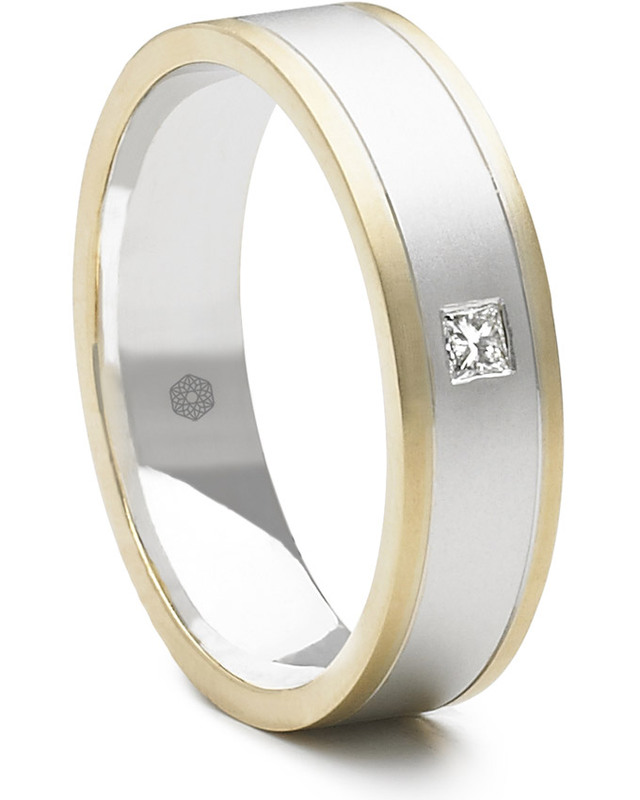 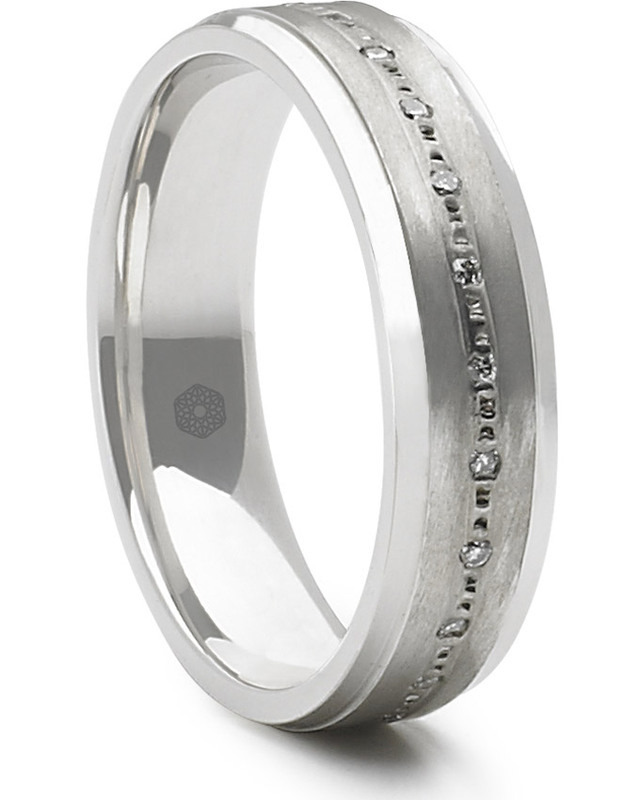 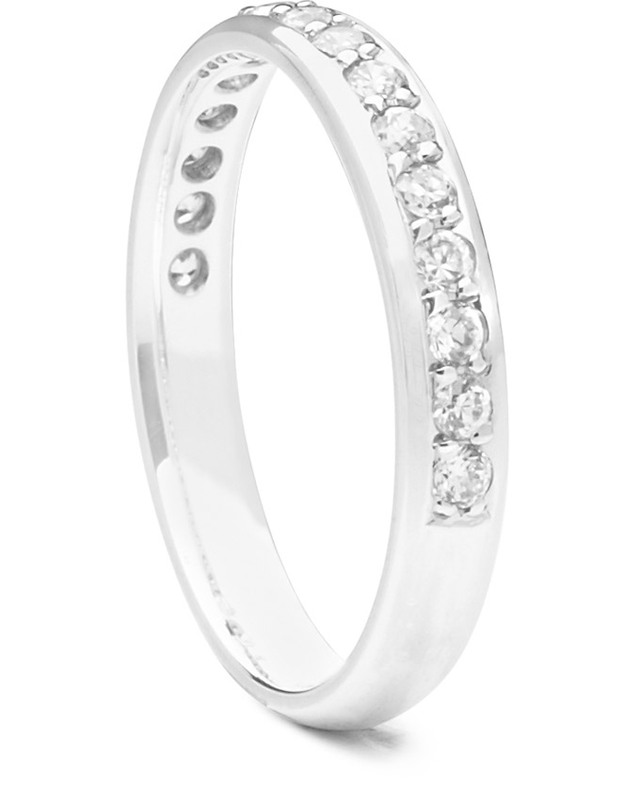 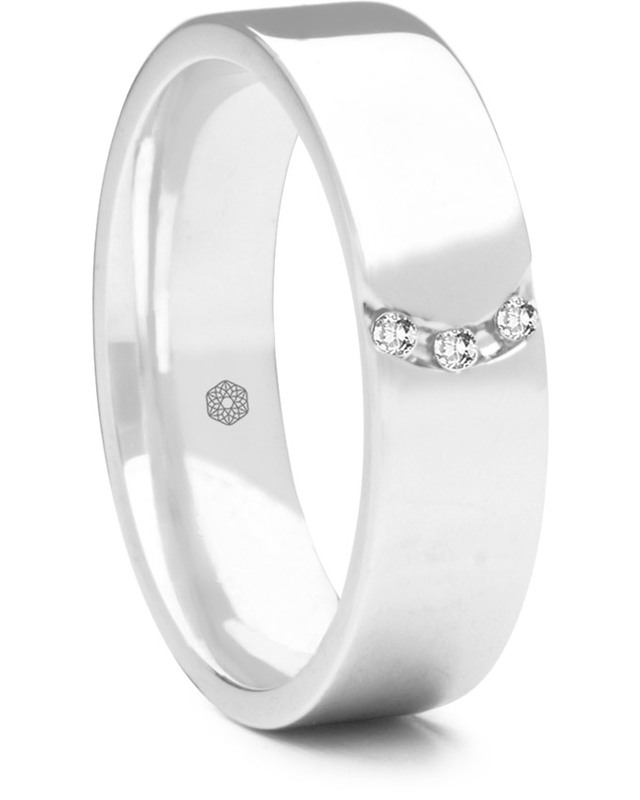 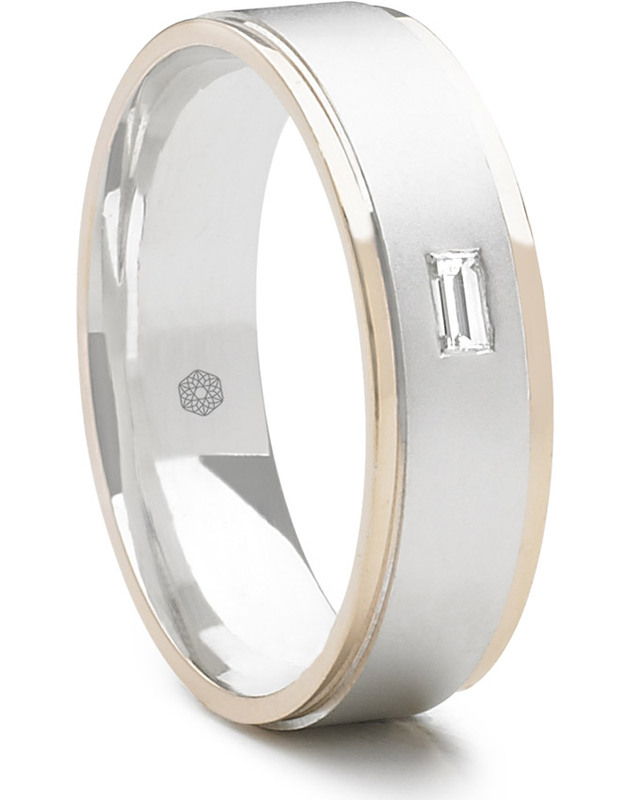 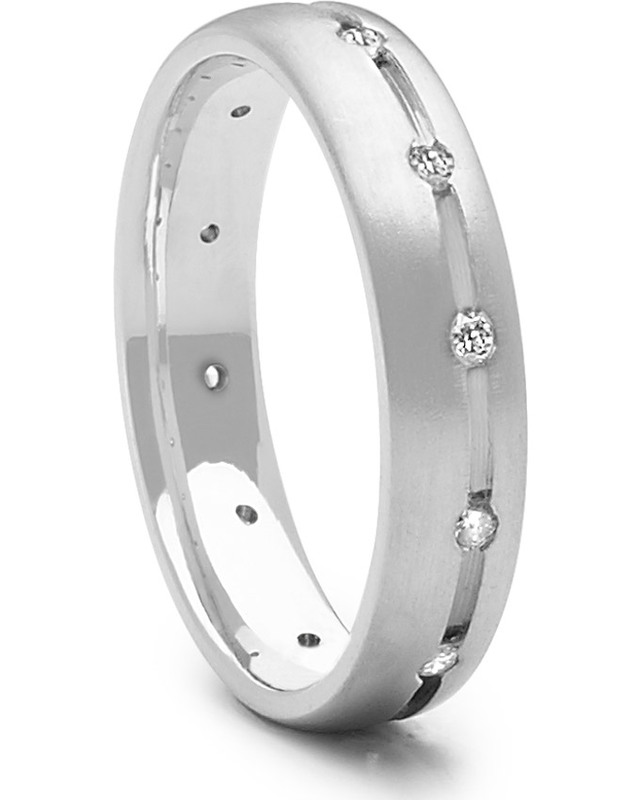 A flat groove in the centre of the band, with a sand blast finish, holds three 3pt brilliant cut diamonds. 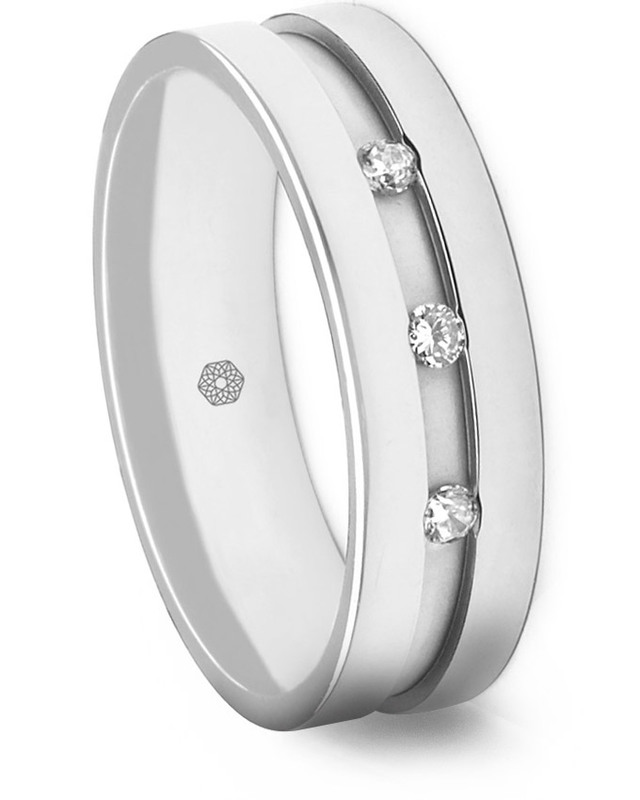 Plain polished edges complete the look.